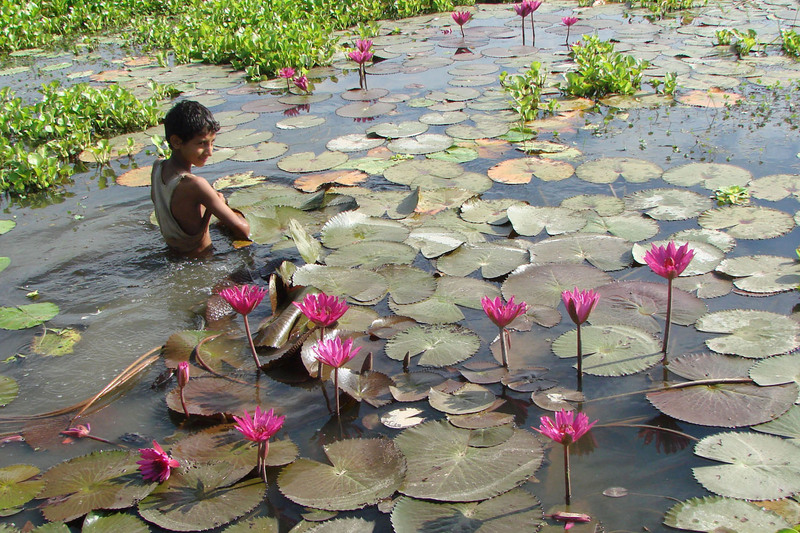 He picks lotus and its leaf to sell near markets. The Egyptian Lotus flower symbol was called Sesen in the Egyptian language. In the Egyptian mythology the lotus flower is a symbol of the sun, of creation and rebirth. In the East, the lotus flower is viewed as a symbol of spiritual unfoldment. The lotus has its roots in earthly mud, but as it grows upward in aspiration toward the light, its petals open out in a beautiful flower. Om Mani Padme Hum, meaning, “Hail to the Jewel in the Lotus” is the sacred mantra of the Tibetans.